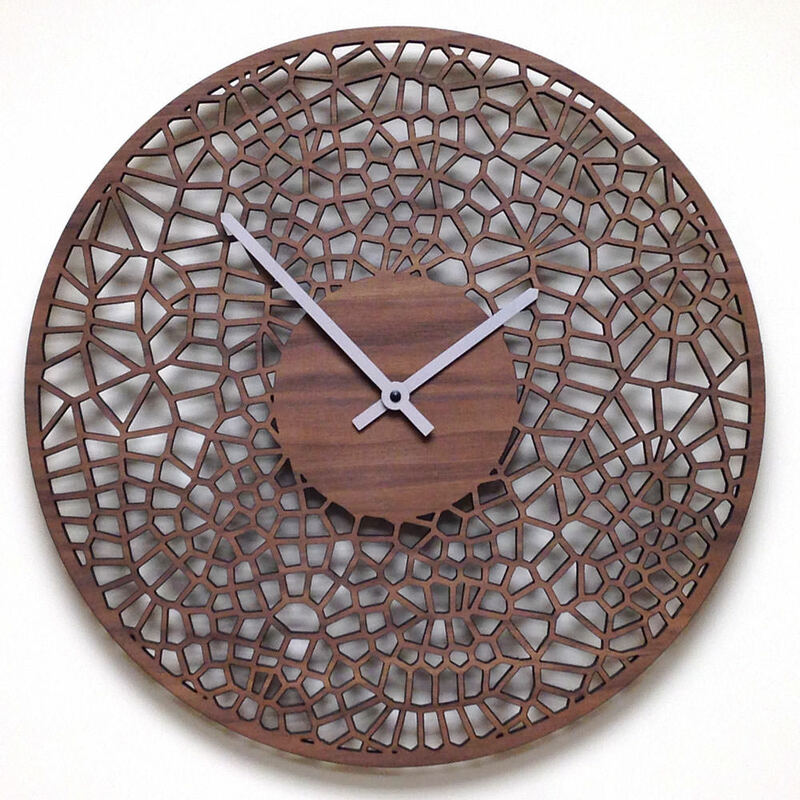 This is a gorgeous, contemporary wall clock featuring a computer generated “Voronoi cell” pattern. 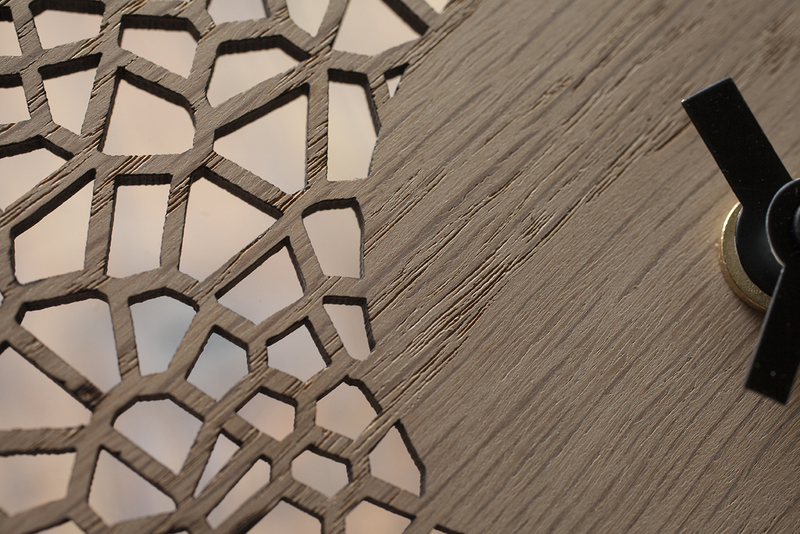 It is mathematically derived yet looks organic in nature, looking similar to patterns found in nature, such as in leaves and on animal skins . 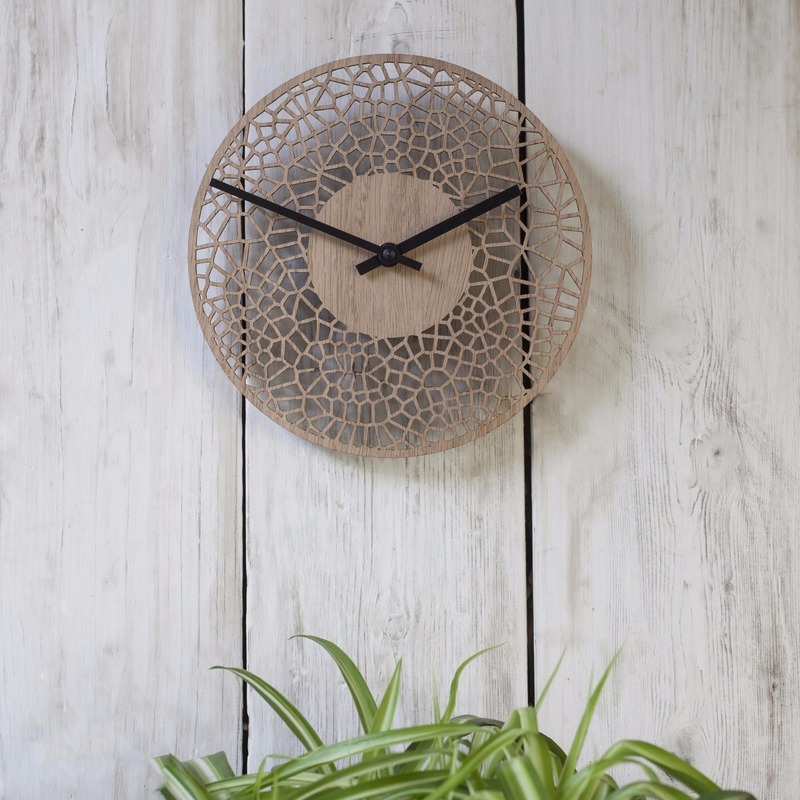 It appeals to people wanting a contemporary yet slightly unusual, quirky and beautiful design on their wall. 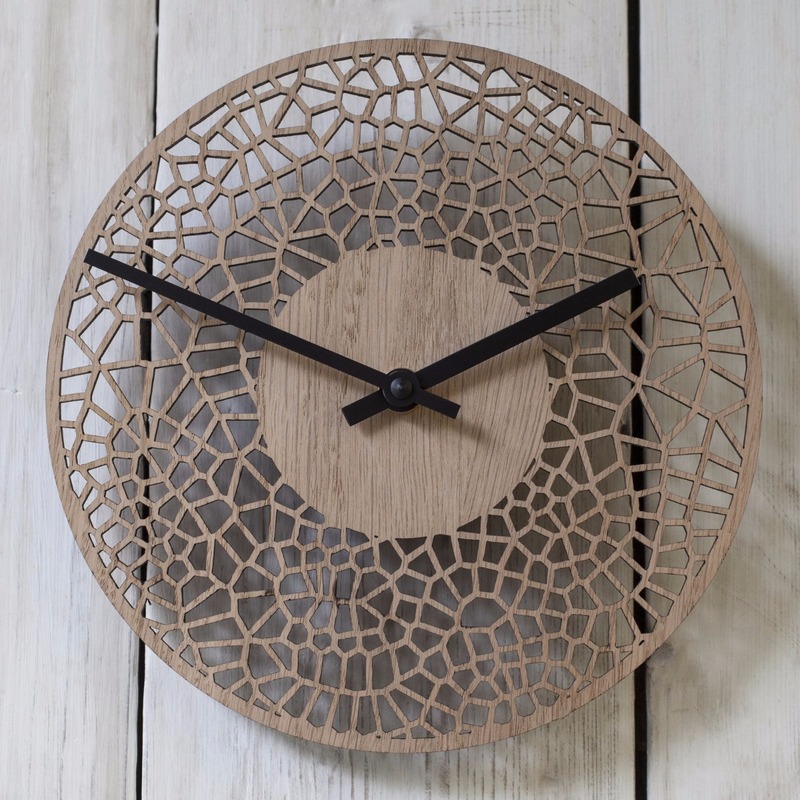 The clock face measures 20cm diameter (8″) and comes with a high quality German made UTS quartz movement. 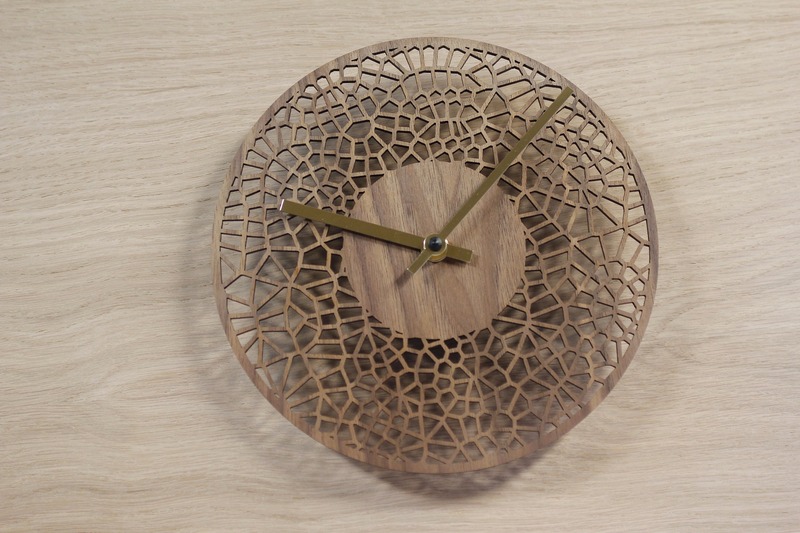 The darker walnut faced clock comes with gold hands, while the oak faced clock comes with black hands, although you can choose either. 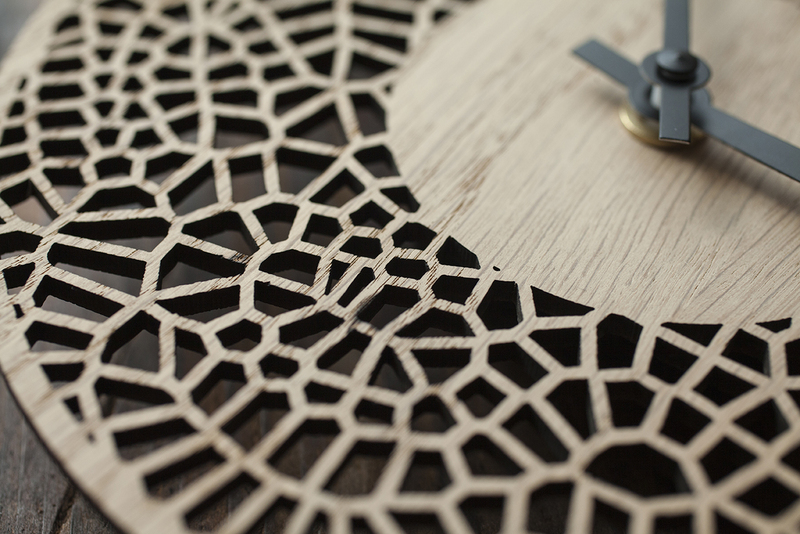 The clock begins its life by being laser cut from genuine wood veneered board. 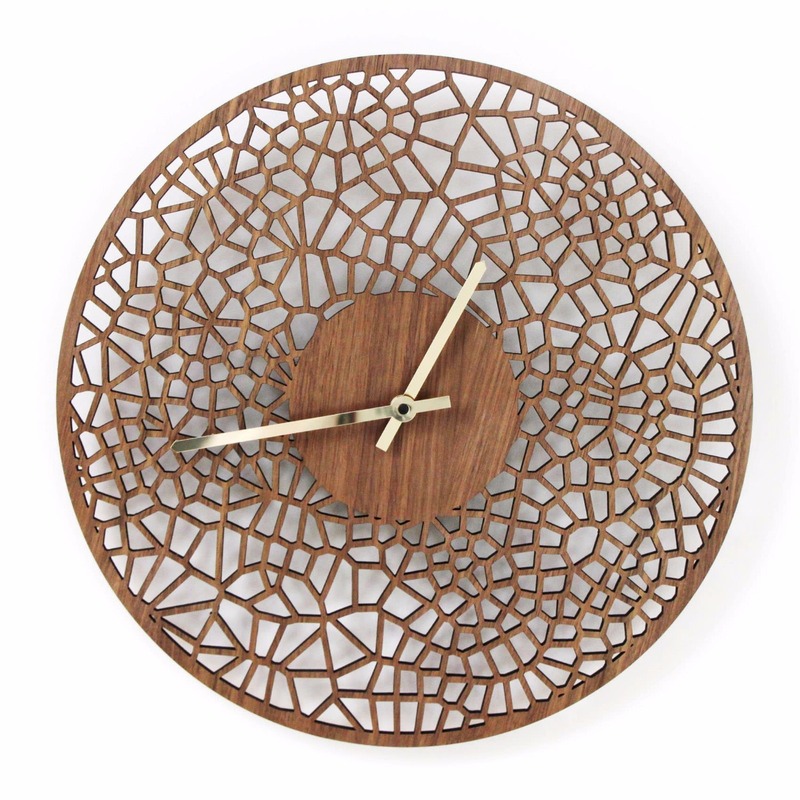 Oak is used for a light and contemporary feel, with the deep walnut giving a more solid feel. 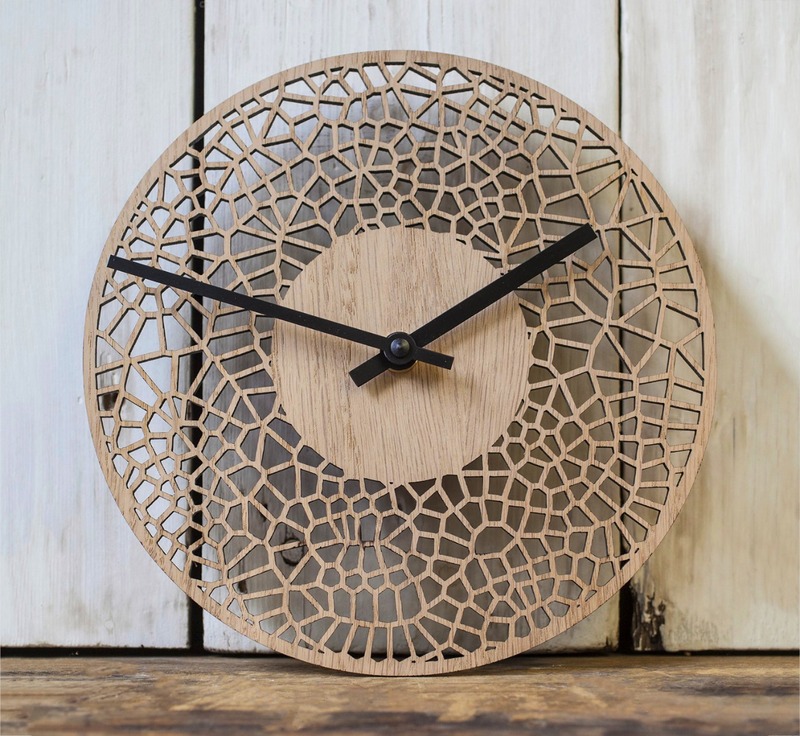 I hand choose the sheets from the wood merchants and decide which part of the board will be used, to ensure that no knots or veneer joins are included in the final clock face. Each face is finished by hand sanding. 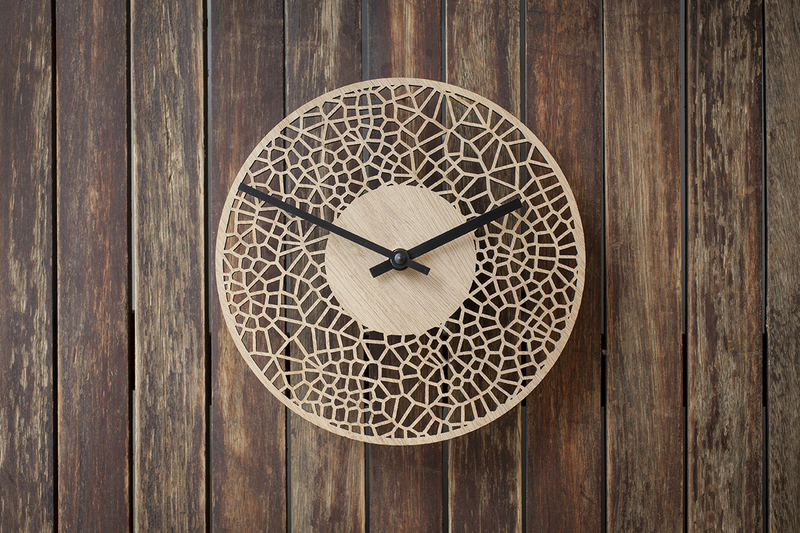 The oak face is left untreated in order to highlight the paleness of the wood. 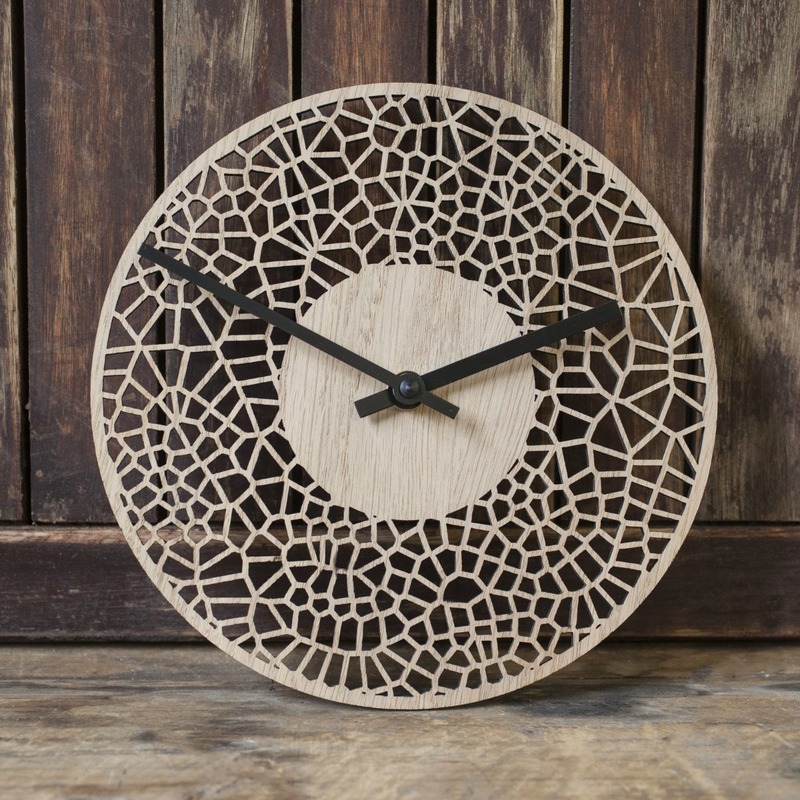 The darker faced clocks are treated with lacquers to bring out the richness of the grain. 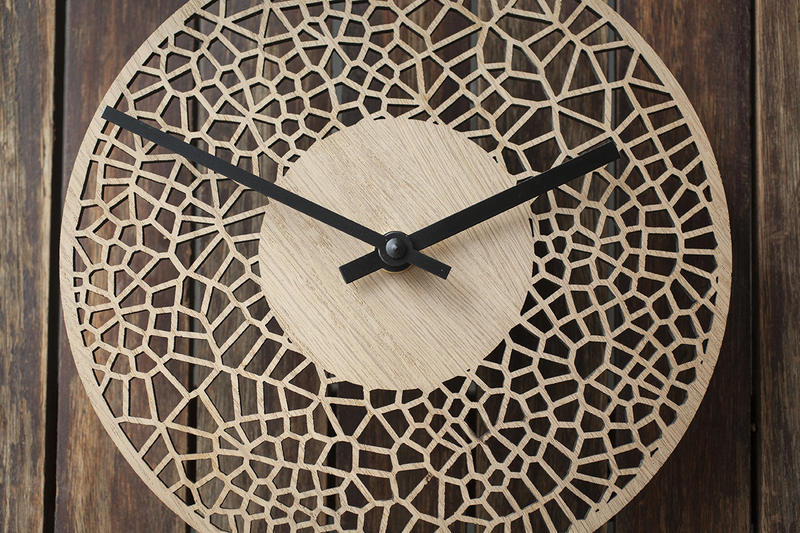 Each clock is then hand assembled, before a final check and package it up well to arrive safely at your door.